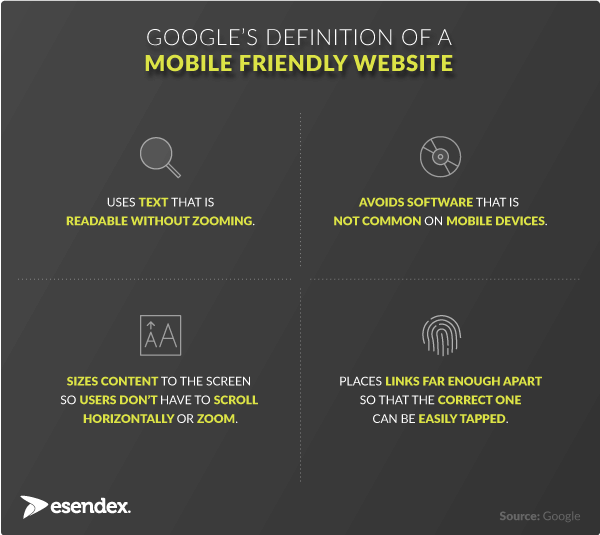 Google’s penalisation of non-mobile optimised websites, dubbed ‘Mobilegeddon’, started in April 2015, and within months, 56% of UK businesses had a mobile friendly website. Mobile users now benefit from an improved aesthetic and no horizontal scrolling, but, surprisingly, this hasn’t significantly improved companies’ ability to interact with their customers on a mobile. Case studies have shown that simply having a mobile responsive website is not enough to increase conversions (measured by the number of people who complete an action, such as a form, on your website). In this particular study, the unresponsive website actually performed better than the responsive website when viewed on a mobile. The team who conducted the research concluded that, while the purpose of responsive websites is to reduce friction (perceived effort) and anxiety (perceived concern), this doesn’t happen simply by applying Google’s criteria to your website. There’s a lot of advice available online to help you optimise form completion, although most of it isn’t device specific. Aim for an app-like design that’s free of distractions, and focused on the single goal of getting the user to complete the task. Think Google, not Yahoo! Avoid drop down menus – they look, and are, labour-intensive. You can replace these with radio buttons, steppers, switches, sliders and segmented controls (click here for great examples of all of these interactions). 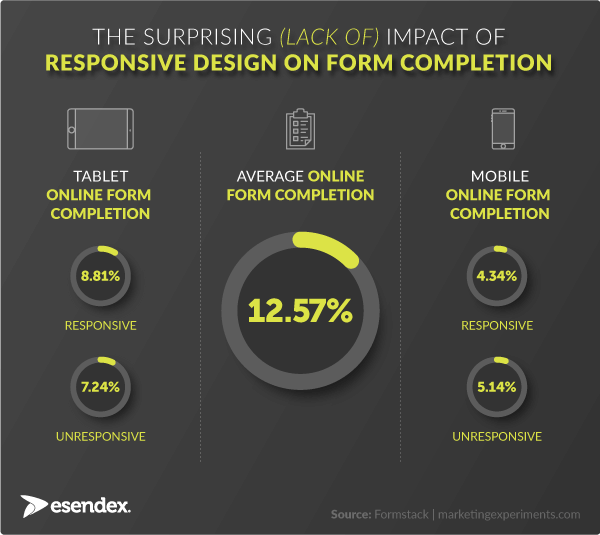 Esendex’s Mobile Journeys have been specifically created to improve form completion on a mobile device, and with an average click-to-completion rate of 46.5%*, it’s clear that having a mobile-first approach pays off. Try out a Mobile Journey.